Winter is a time for fun in the snow. From skiing to ice skating, winter can be the highlight of the year for many people when it comes to recreational activities. However, it can also be a season for injuries that may leave lasting scars if not treated appropriately. Common injuries include head and neck trauma, broken bones, etc. However, not all winter sports lead to such horrible injuries. Sometimes, lacerations, cuts, bruises and scrapes occur that need attention before they get worse. 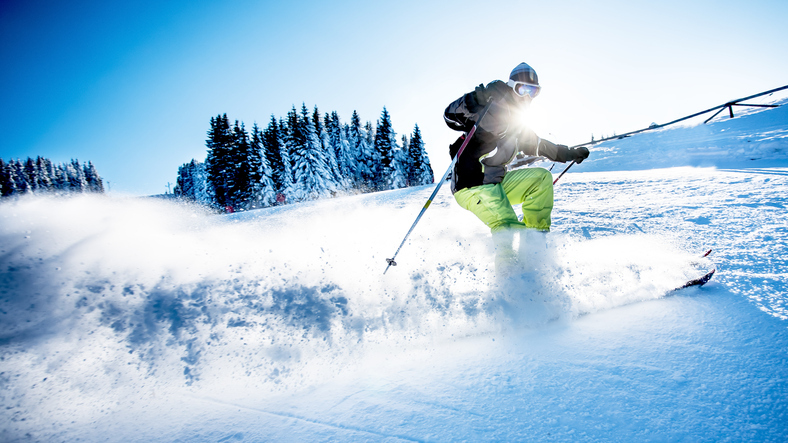 So, what are the best treatments for winter sports wounds? First, it’s important to visit the doctor or ER if the cut is very deep and does not stop bleeding, or if it has something embedded in it such as shards of glass or debris of some kind. If it is a superficial cut, you’ll want to first wash the area gently with warm water and soap. This will get any dirt or debris out. Generally, you don’t need to use cleaning solutions like hydrogen peroxide or iodine; just soap and water. Once bleeding stops, cover the wound with gauze or a sterile bandage covered with a thin layer of antibiotic ointment to keep infection at bay. Change the dressing daily or as needed and check on the condition of the wound to assess progress. Assuming all goes well and the cut begins to heal, you have many options available to help minimize scars. More extreme options for heavy scarring may include skin grafts, dermabrasion, pressure dressings, laser surgery or steroid injections. However, for smaller cuts and scrapes, your best bet may be an over the counter cream, ointment, or gel such as Scarfade. Scarfade Scar Treatment Gel goes on just like a cream. Simply massage it onto the healed wound. It will form a thin silicone layer that will help minimize the development of scars or will help improve the appearance scars that have already formed. Use it twice daily for 12 to 16 weeks, depending on the severity and size of your scar. Silicone scar gel helps regulate the body’s production of collagen to reduce the appearance of scars. Scarfade first came on the market in 1997 and has since become a must have in many people’s medicine cabinets. This topical silicone gel formula, recommended by leading physicians around the world, forms a thin, invisible layer on scars and helps minimize their size, intensity and discoloration.